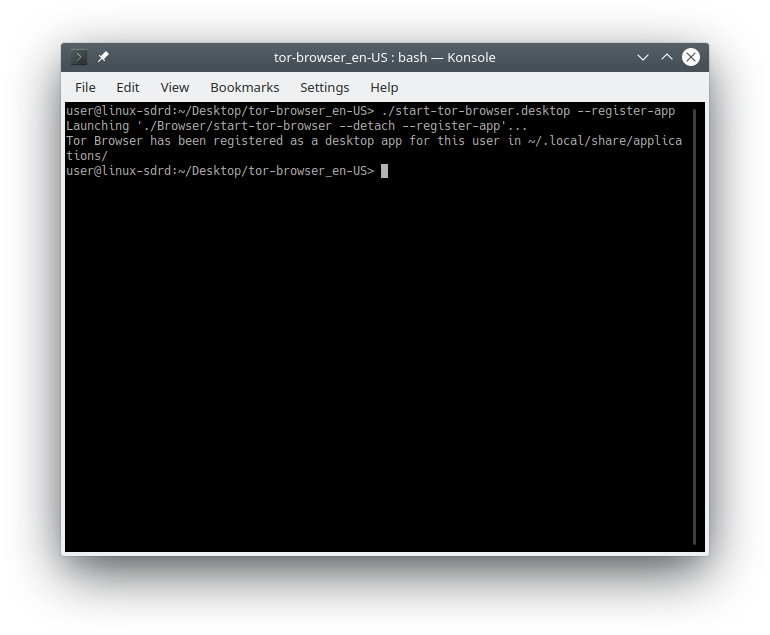 local installation of icecat/tor-browser executable tarball | Trisquel GNU/Linux - Run free! I will try this when I have more time, but it seems you are doing gods work. Great work! I appreciate. For Icecat, good. However, Tor Browser Bundle need not be "installed". Extract the tarball on your desktop or a USB stick, and you're good. > Great work! I appreciate. For Icecat, good. > on your desktop or a USB stick, and you're good. everything works as if it had been installed from the package manager." Browser and Icecat because they are FSDG-compliant. Tor Browser can be registered (this will add an entry in the menu) by running this command in the Tor Browser Bundle directory. be launched from a terminal? Apparently not. Can't see any success with either 'tor-browser' or 'start-tor-browser' (in a terminal).